Story of an Iranian girl. Revolution. National Turmoil. Close-minded Muslim Powers taking over and a strong willed child. To me, it seemed like an emotionally draining book that will leave me in a pool of tears. I had heard a lot about the book and the movie and was super eager to know what is there in this book that has left everyone speechless. I ignored the movie. If there is book based movie, I tend to read first and then watch the movie. I was planning to do the same with Persepolis. When I picked up this book, I could not help but gush over the cover. The cute illustrations were flirting with the typo and I hopelessly fell in love with it. Personally I believe that along with the story, the book cover should be amazing. That is the first thing that readers see and it should seductively egg them to read further (even if they don't want to). Marjane is a cute child. Her parents are open minded and from the upper strata of the society. Her childhood is highly influenced by their political inclinations. The other strong influence in her life is her Grandmother who is the wife of a war martyr. Her society was open-minded and modern. Free will was the norm and rational was the approach. With the change of national powers, the society changes drastically. And this affects young Marjane's life as well. From being a wild open mouthed child in skirts, she was expected to be a docile, hijab wearing, silent girl. Her parents don't agree with the norms that the Muslim powers bring to the nation and consequently so doesn't Marjane. As she grows up, her parents send her abroad to study. This was their way to ensure their child gets to live her life as a free bird and become an educated responsible woman. After a while, Marjane returns back home, completes her degree, attends secret parties, falls in love, gets married and divorced. The second time when she leaves Iran, she is mature and confident woman who knows how to deal with her life. The best part about the book is that it is endearing. The straight from heart words that were not lost in the brain to mouth filter, touched me. 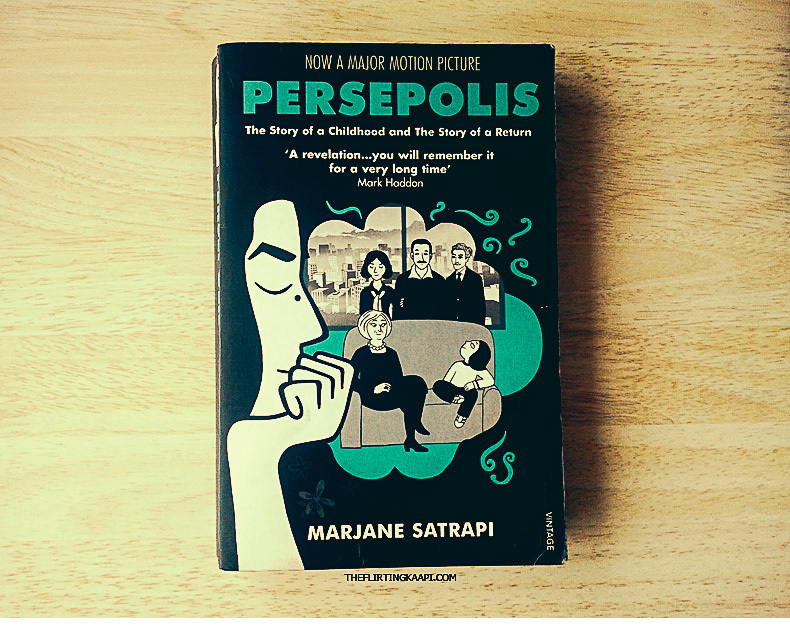 Marjane has beautifully carved her life in these pages and served it to the readers. Some of the frames will stay with me for life. Marjane did not cut corners while writing the book nor was she apologetic about anything mentioned here. It is her life that she has illustrated and she has done justice to it. She is cute, hilarious, innocent, strong willed, bold, aggressive, sweet, curious, opinionated as a child and not once did I feel that she is making all of this up. The book is full of sweet, sour, bitter and happy instances that her life is sprinkled with. The book is laced with blunt words, honest expressions, cute impressions with the national turmoil as the back drop. As a child and then later as an adult, her story has touched me. I connect with her. I may not be from a war country but I am a girl. Many of Marjane's turmoils are my own and many a times, I felt that I could just hug her and say, I hear you Marjane. Marjane's autobiography has been the best ever books that I have read up til now. This is a no frills, high drama, entertaining humor and raw emotion type of book. A book that I could not put down from the moment I started reading it. In fact, two chapters down, I forgot that I am reading a book. I felt Marjane is talking to me. That we are sitting in my room chatting about her life over coffee while she is enjoying her dose of cigarettes. 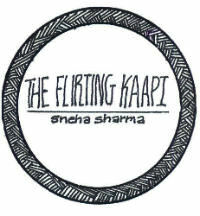 P.P.S The Flirting Kaapi is inviting sponsors. If you are interested to advertise or sponsor my, do check out the Advertise Page. nicely written sweety...I dont think ill be reading the book but enjoyed the post..
these days before I publish any post I think of you and your mail :) reread the post and then publish..
not that it helps improve it too much...but i do think of u.. Neatly written review... Need to buy this one asap. And I had not even heard of the book! Wow, now I have another I must read!